As part of the XV anniversary of the magazine GANAR-GANAR (Win-Win), the work of the TELMEX/TELCEL Foundation was recognized in the category of social responsibility in the telecommunications sector. In addition to the Foundation, other companies were also recognized for their commitment to sustainability. The magazine highlighted the work of those companies that, over the years, have assumed a corporate responsibility. Additionally, Mercedes Aragonés, president of the Partnership for Corporate Social Responsibility, was recognized in the award delivery event with the ‘Don Rubén Aguilar Monteverde’ Award. 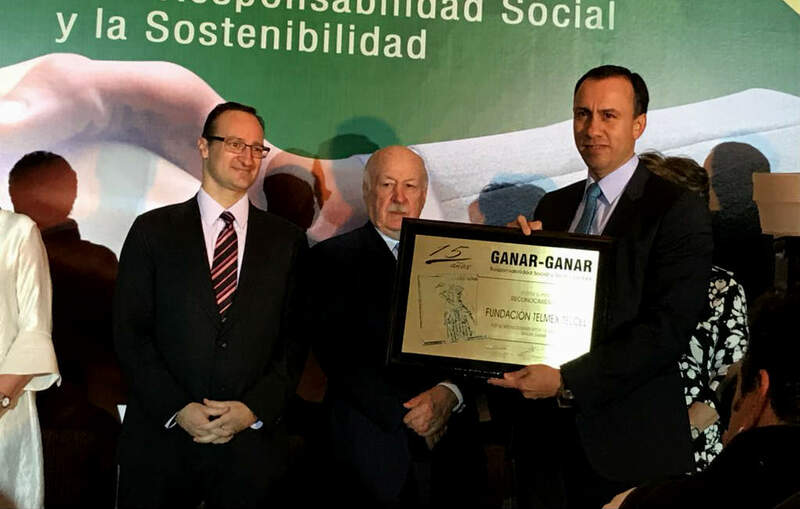 The GANAR-GANAR Awards are granted to companies that represent different economic sectors for their socially responsible work and for their efforts in sustainability. TELMEX/TELCEL Foundation aims to efficiently implement permanent and creative programs with high impact and national coverage, which contribute to solving the deep social inequalities that have limited the development of our country and improve the quality of life of Mexicans.